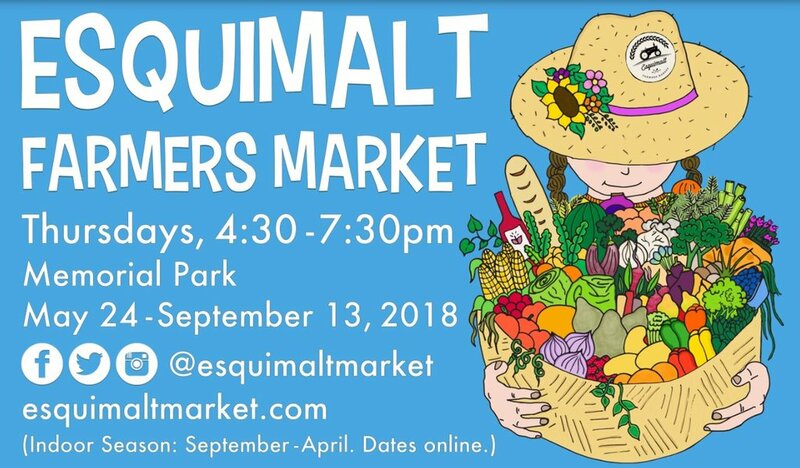 Esquimalt MLA, Mitzi Dean, and Mayor Barb Desjardins are set to ring the market bell to open Esquimalt Farmers Market’s (EFM) first outdoor market of the summer season on Thursday May 24th at 4:30 pm. This is the fourth season of the successful market, which was awarded the title of Best Mid-sized Farmers Market in British Columbia for 2017 by the BC Association of Farmers Markets. 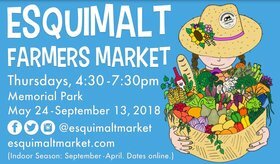 The 2018 market season has a great line-up of vendors and entertainment and will continue with successful programs such as food hamper for the Esquimalt Neighbourhood House and Rainbow Kitchen and the BCSPCA Barking Lot (for dog minding). EFM is also a proud new member of BCAFM's Coupon Nutrition Program, in part because of the wonderful new government funding! 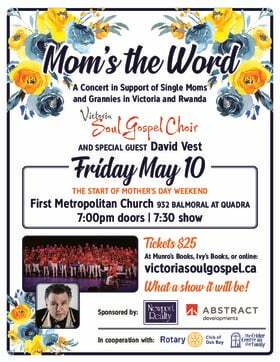 Thank you's to Minister's Dix & Popham for their efforts! Food Trucks: Greek on the Street, Country Crepes, Indecent Risotto and Deadbeetz. Mr. Organic: with hands-on composting demonstrations and organic gardening advice. Vanessa Pattison- Vice President, Marketing & Advertising.